February is an appropriate month in Tenerife to start planting some specific plant varieties. 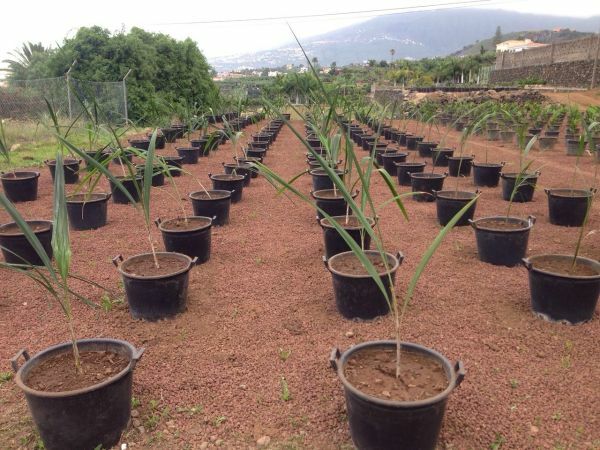 This is the case of the Licuri Palm (Siagrus coronata) that our gardeners and farming experts cultivated this month. This palm grows in Brazil and is very important for the endangered Lear’s macaw (Anodorhynchus leari), because during the driest months their fruits are the main food for the wild living individuals. In addition, this fruit has health-promoting and disease-preventing properties. It contains a low fat content and an important proportion of lauric acid which is known to help the body to fight against pathogenic microorganisms such as Giardia, the bacterium Helicobacter pylori (causing intestinal ulcers in humans), or the bacterium Chlamydia trachomatis, among others. At present Loro Parque Fundación supports field projects in Brazil in order to preserve the free-living Lear-Aras. In the past years, 462,602 US dollars have already been collected for the preservation of the Lear-Aras population. At present Loro Parque Fundación supports field projects in Brazil in order to preserve the free-living Lear´s macaw. In the past years, 462,602 US dollars have already been collected for the preservation of the Lear´s macaw population. Local farmers, who lost their maize crops due to the Lear-Aras, are also supported by financial compensation. Thanks to these activities, we have been able to achieve many successes in recent years. While in 2001 the population of Lear´s macaw did not reach 300 individuals, today’s population shows, thanks to our efforts, surpasses nowadays 1,200 individuals. 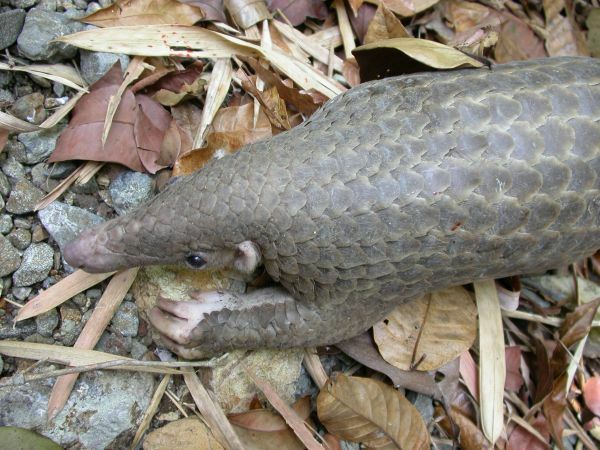 A great success for species protection! At the beginning of this year, Mrs. Bärbel Koehler from Abaxis, one of the world leading companies in providing high technology for medical and veterinary uses, visited us. The company donated us an innovative microscope for the veterinary clinic. This generous donation completes the innovative technically equipped clinic, which is located in the Animal Embassy and can be visited daily by visitors to the Loro Park. 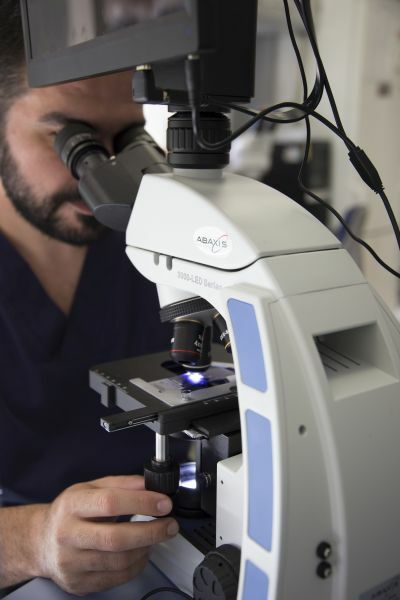 The Loro Parque Fundación thanks the Abaxis group for this support and for their commitment to the animal world through clinical development. The days in Tenerife are getting longer. An incentive for most bird species to search after a partner since the beginning of the breeding season gets closer. For us, begins the stage of pre-breeding. At this stage, we give our birds food supplements to prepare them for the next season. The breeding season is undoubtedly the most exciting time for all breeders. We are eagerly watching the quality of the new breed pairs, which we lovingly reared and prepared for the breeding season. This includes the detailed, appropriate changes in the aviaries in order to offer maximum comfort. Our curator, Marcia Weinzettl, in cooperation with her team, is currently preparing new breeding pairs. They gaze admiringly at the shining plumage and their vivacity. This is a clear sign that we will soon experience intense emotions. We will share these emotions with you. At the beginning of the year we received good news from the Philippines. 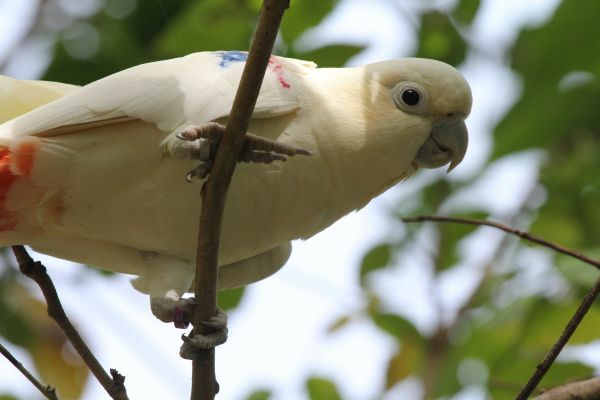 Seven specimens of the Red-vented cockatoo (Cacatua haematuropygia) were released on the island of Dumaran in the province of Palawan. The Loro Parque Fundación supports unreservedly the protection projects of this emblematic species, which is located in this insular ecosystem. There, Indira Lacerna Widmann co-ordinates the work of the Katala Foundation project to prevent the extinction of this natural beauty. Thanks to the long-term financial support of the Loro Parque Fundación and other important supplements, such as from the Chester Zoo in Great Britain, the Zoological Society for Species Protection and Protection in Germany and the Zoo Beauval in France, the census of 20 individuals in 1999 increases to a current census of 300 individuals. The Loro Parque Fundación has supported the project in-situ with a total of USD 1,681,028 aiming to recover the population in the ecosystems where they inhabit. The collaboration with the different project leaders is very productive as the exchange of information allows us to make significant progress. 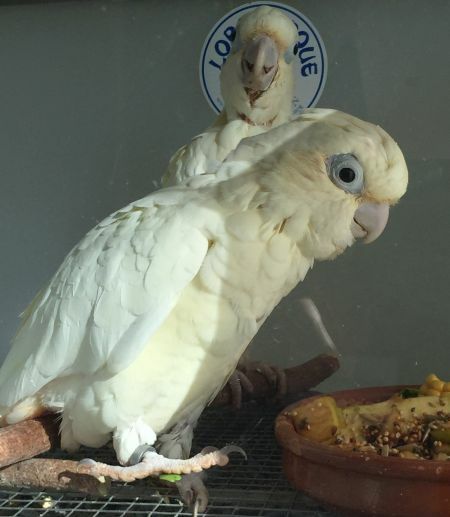 At the breeding station of the Loro Parque Fundación, we have bred 21 specimens of the Red-vented cockatoo in the last 16 years. This is a huge challenge; if we consider that the males are very aggressive and complicate a stable breed of this species. The aviary, which is used for the controlled release in nature, is an important support for the specimens reproduced. You can return to the aviary at any time after exploring the surrounding environment. . The plumage of these birds is color-coded to recognize them, even in flight, and to continue their development. We are eagerly awaiting further events of these seven specimens, which have already enriched the ecosystem with its presence.